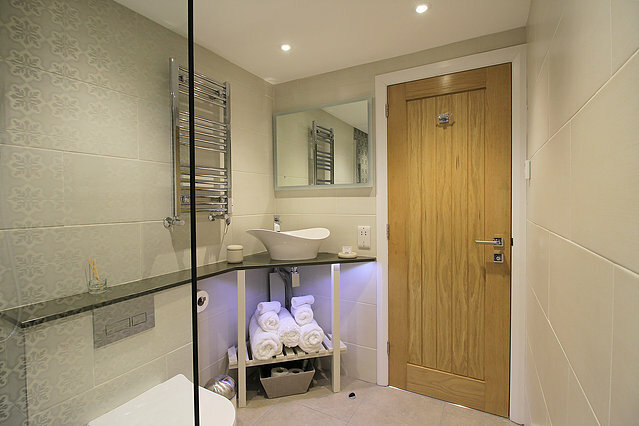 Modern but cosy 5* self catering accommodation located in a quiet village setting with views over surrounding fields. 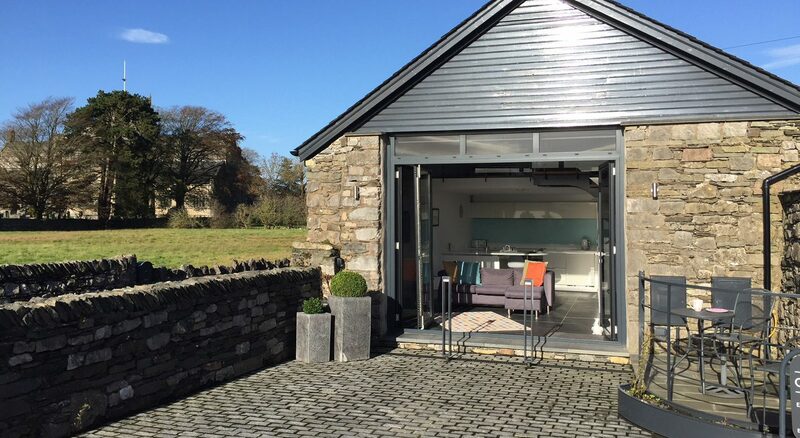 The Old Roller Shed presents a perfect romantic retreat for any special occasion or simply a relaxing stay with your loved one. 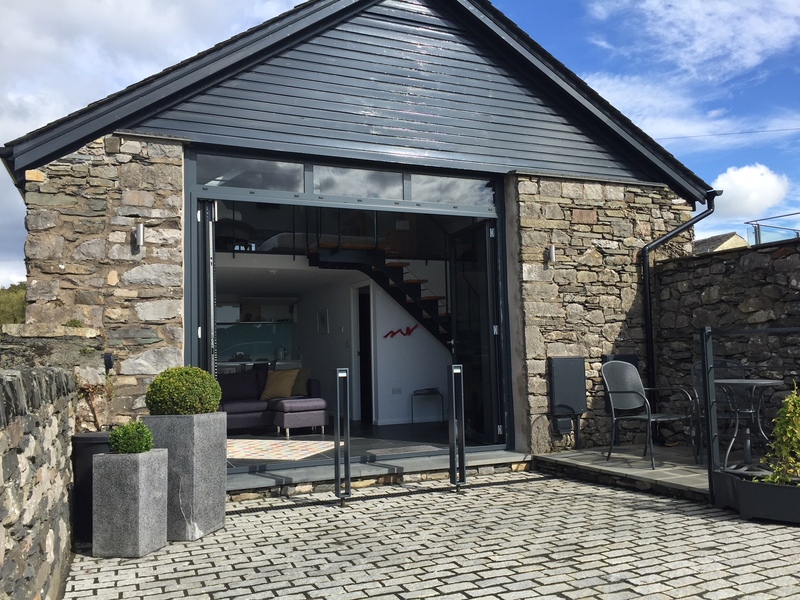 ‘The Shed’ has been recently converted creating a stylish and contemporary design whilst maintaining plenty of character. 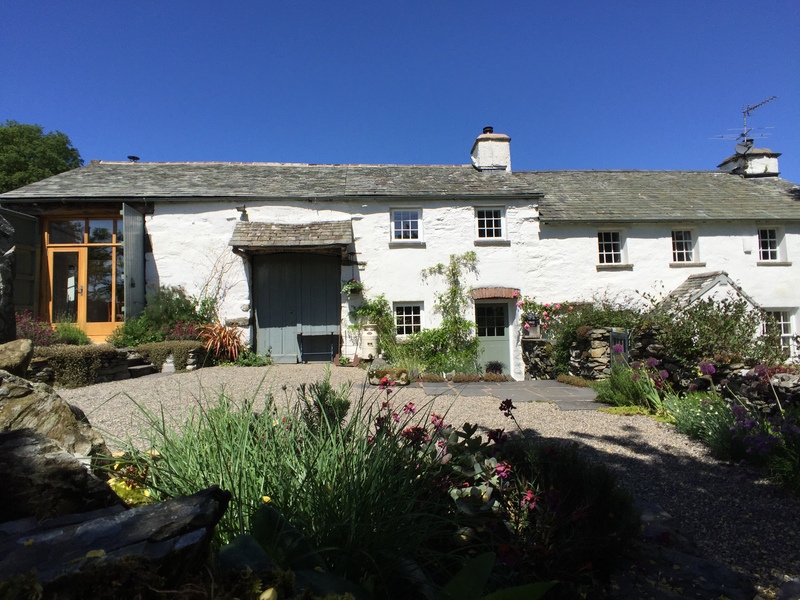 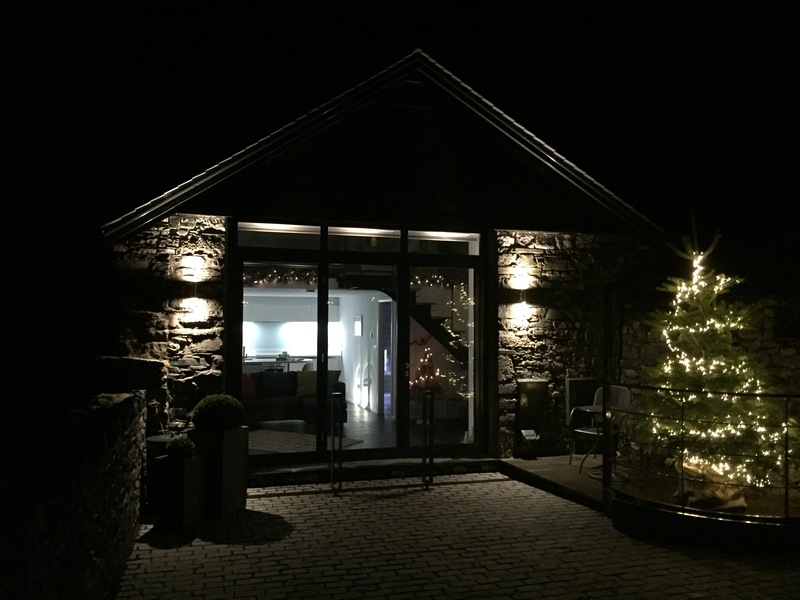 The unique accommodation is centrally located; just off the main square of Cartmel with walks from the door and a short walk to local shops, cafes and pubs, not forgetting the Michelin starred restaurant, L’Enclume, and Cartmel racecourse. 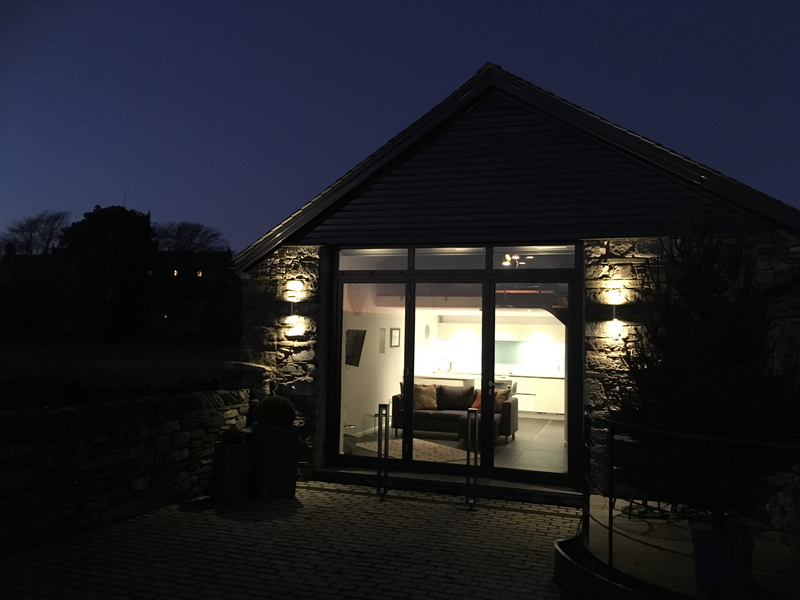 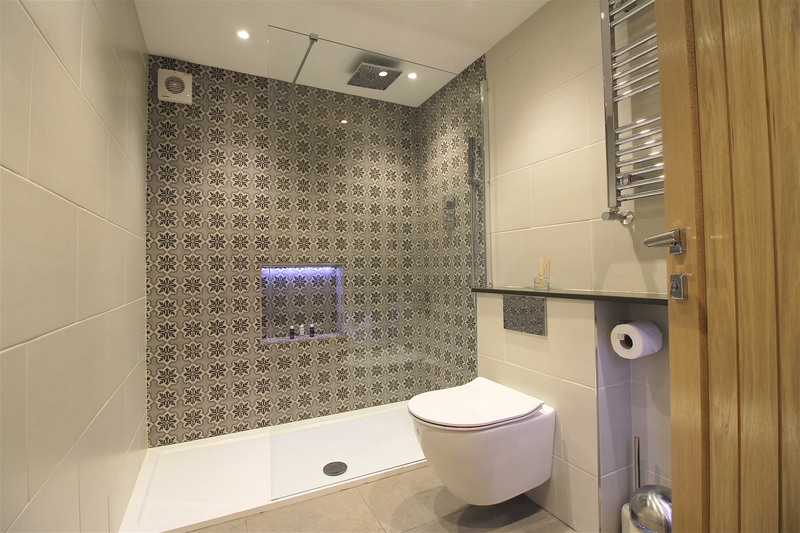 The luxury Lake District cottage comprises: contemporary open plan living area with under floor heating, bi-fold doors with remote controlled blinds, fully fitted kitchen area with breakfast bar and seating for two, utility area, stylish shower room with large walk in shower. 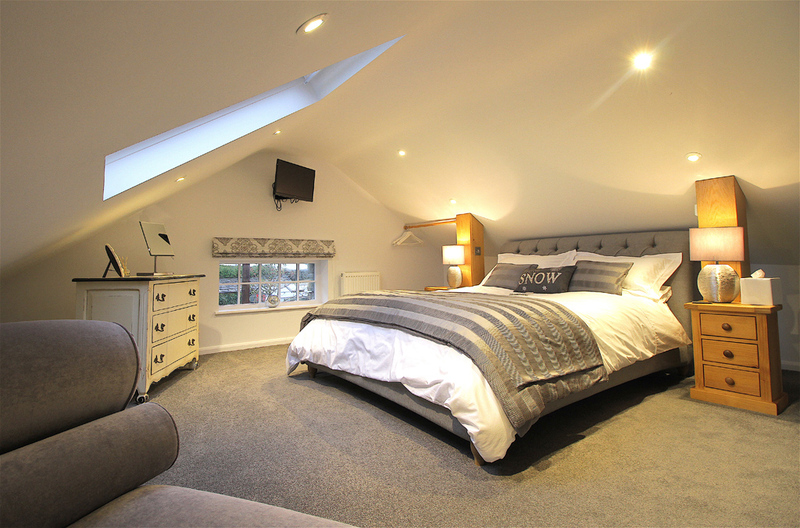 Bespoke staircase leading to the glass mezzanine first floor with loft style bedroom and gorgeous views towards the village and Priory. 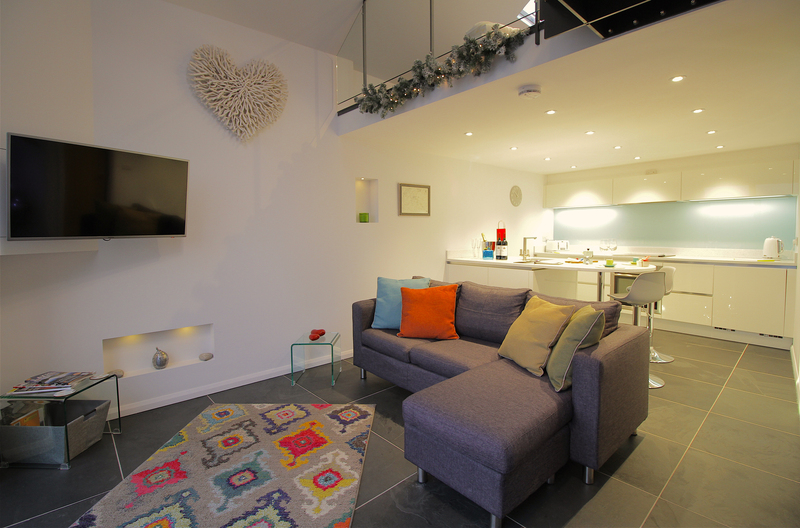 An outside patio area and private parking complete this perfect space!